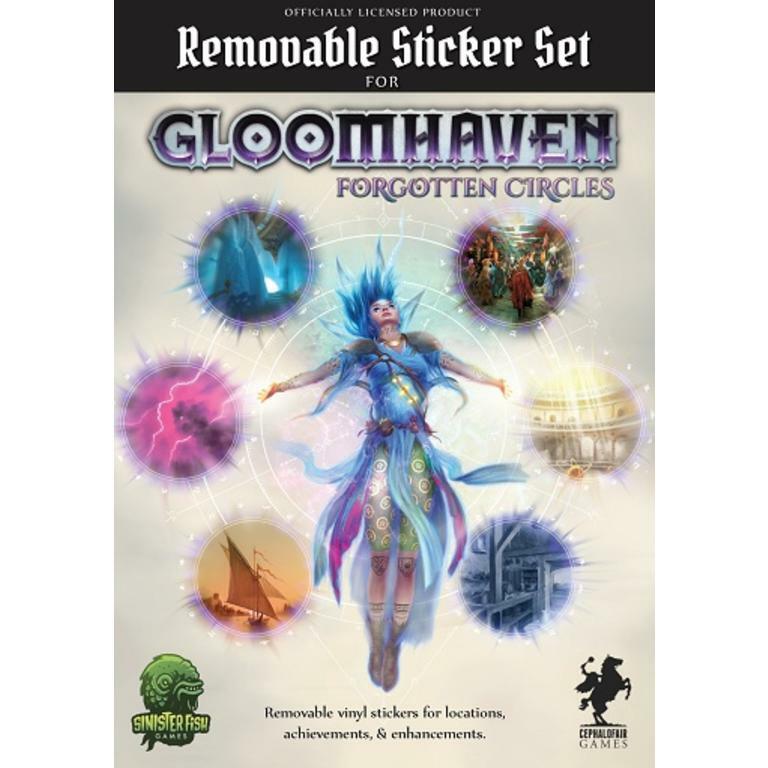 A replacement sticker set for the Gloomhaven: Forgotten Circles board game expansion. Featuring pre-cut removable vinyl stickers with non-transferring adhesive that can be used to reset, replay, and resell the game. Includes stickers for all locations, achievements, and enhancements, plus a replacement seal for the character box. 1 cardboard folder featuring campaign tracker. 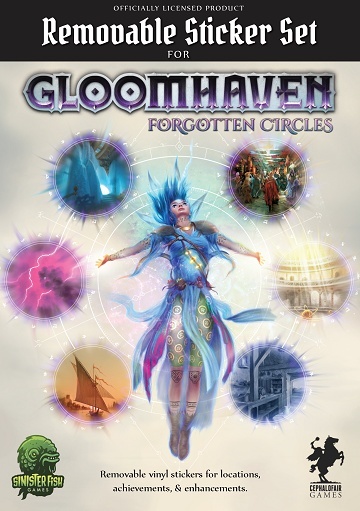 Manufactured & sold under license from Cephalofair Games.